Hype is starting to build for Captain Marvel, the Marvel Cinematic Universe’s first female solo film. It seems that the anticipation for the upcoming superhero movie is already having a snowball-effect of sorts, as MCU mastermind Kevin Feige has revealed that they are in the early stages of brainstorming a potential movie starring a more recent superhero, Ms. Marvel. Captain Marvel lands in theaters on March 8, 2019, but as reported by Slashfilm, vocal fans have been bombarding Marvel Studios with Ms. Marvel movie requests almost non-stop for months. Ms. Marvel is a teenage Pakistani-American superhero named Kamala Khan who’s from Jersey City. She idolizes Carol Danvers (Captain Marvel), and premiered in the Captain Marvel #17 comic book in November of 2013. She is a polymorph who has the ability to lengthen her arms and legs and change her shape at will. 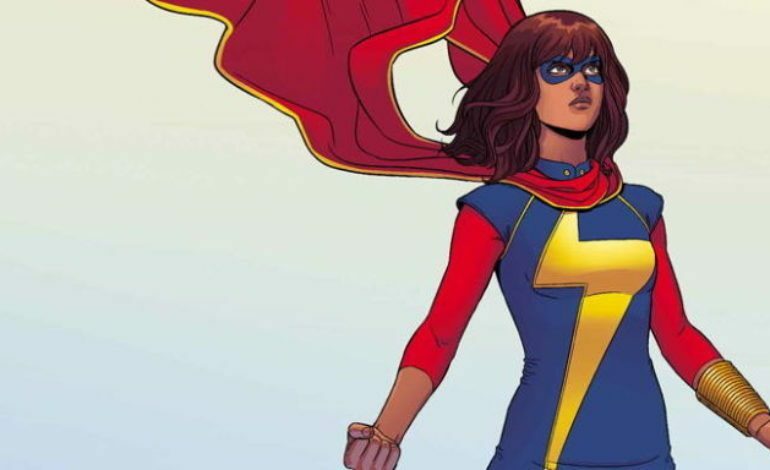 The potential is huge for Ms. Marvel, who is a Muslim girl, to reach a new demographic of fans. Much like Black Panther struck a chord with black audiences, Kamala Khan as Ms. Marvel could have a similar cultural and box-office-record-shattering impact by appealing to a Muslim audience that has seen little superhero, or big-budget Hollywood, representation. In the meantime, Riz Ahmed (Venom, Rogue One: A Star Wars Story) is wasting no time hopping on this bandwagon. As you can see by the Tweet below, he has a few ideas for who can help him get the ball rolling on this potentially huge new superhero franchise.